Blowing in a new reed. A new reed can often open at the mouth after manufacture, giving a flat hard sound.This can be remedied by a light squeeze at the sound box above the black binding, closing the mouth, and allowing it to open again. Do this two or three times, then try again, it should be brighter in sound and easier to blow. After a short while, being played in the pipes the moisture may allow the reed to open again. Repeat the procedure above , before continuing. The best results are achieved by using this technique in blowing a reed in. 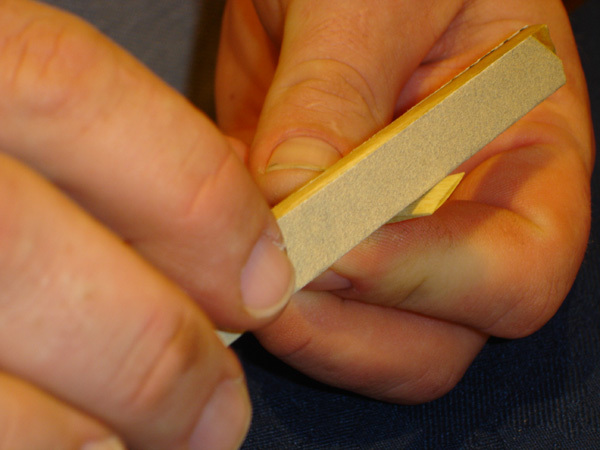 If a reed is too hard and beyond a persons blowing capacity, a shaving technique may be applied to make the reed easier to blow in, using 320 grit shaving stick, these can be supplied by murray reeds. A light rub equally on both sides of the blades, if lips on the mouth appear thick . Try now in the chanter. Again a light rub on the shoulders of the reed will make it easier, sanding across the reed like so. 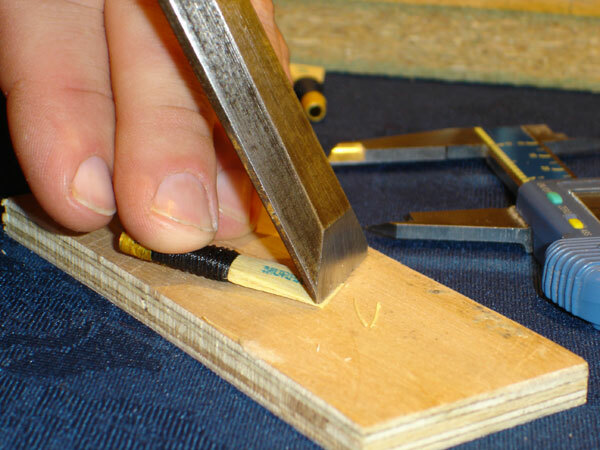 If the reed is flat on F and high G the reed can be shortened at the mouth by a small chisel, cutting up to 0.5mm off , then repeat procedure 1&2 this will sharpen pitch overall but more so on top hand. Be careful not to over do this as the reed can be ruined if too much is removed. 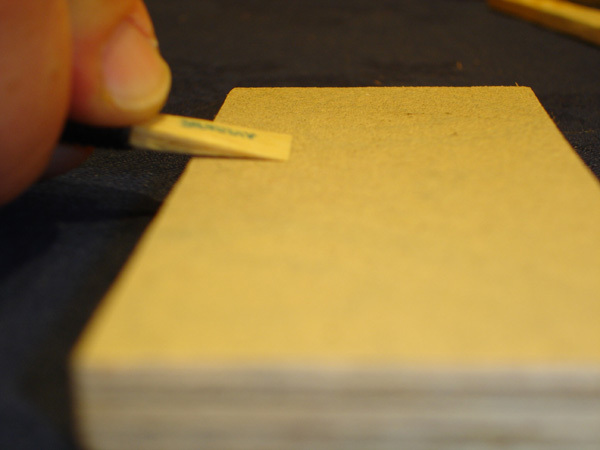 Flick blade gently , then blow until sound is achieved.The reed should stop with a higher pressure. Pull bridle down until volume is correct. This will sharpen the reed. Lengthen the blade by moving the bridle up the reed. This will flatten the reed.